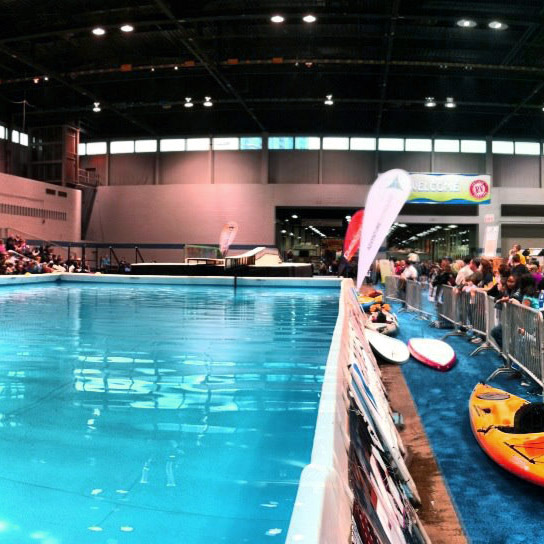 Our pool can be put to use anywhere, including stand up paddleboarding events. The popularity of stand up paddleboarding grows every day, making our pool a great addition to outdoor (and indoor!) events such as trade shows, festivals, parties and more. Pool parties are one of the more popular services provided with the portable pool set up and have allowed businesses to achieve higher sales and leave big impressions on the community. Combined with our staging and different pool sizes, pool party options are nearly unlimited and will undoubtedly attract customers while creating a unique reputation. 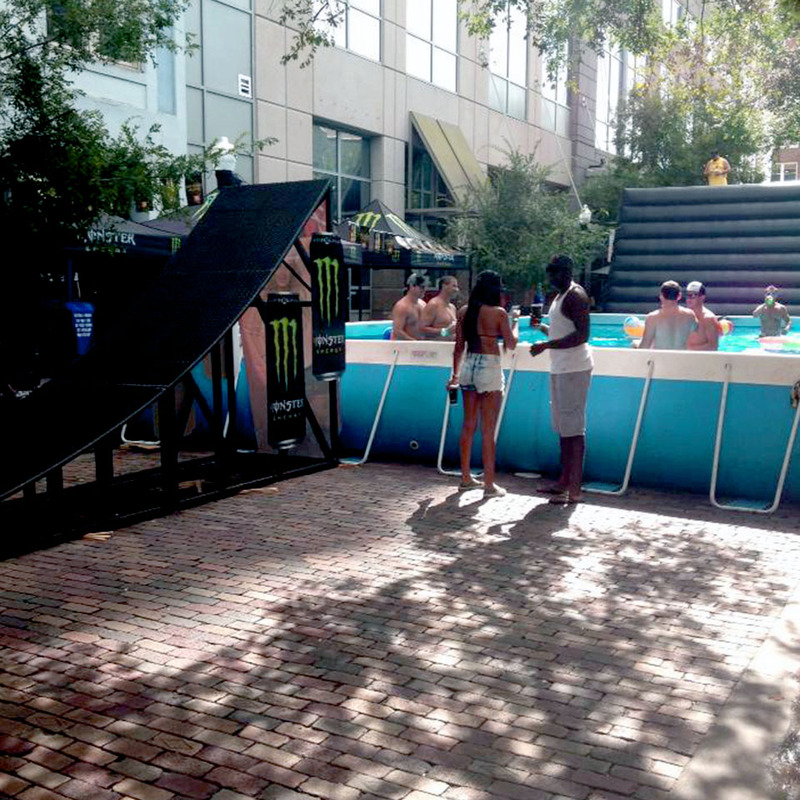 The Step Up Productions has a variety of portable pool sizes available for rental for many different applications.